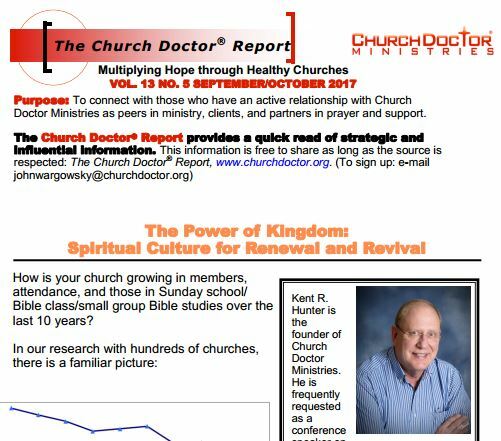 This issue of the Church Doctor Report is the second part of a two-part series. The previous issue was on the topic: “The Power of Movement: Jesus’ Plan for Your Church.” This two-part series reflects the author’s book, Who Broke My Church? 7 Proven Strategies for Renewal and Revival. Jesus also said, “My Kingdom is not like this world.” Churches that are plateaued or declining usually reflect “drift” from Kingdom culture. Through guided focus on Kingdom culture for three years, God refreshes a church for Great Commission impact. This has been demonstrated by 15 years of monitoring and gathering data from a wide number of churches.